Please read to know why it is nearly impossible to make 10% a month from stock markets or options and futures trading. Most people on this Earth when told about the stock markets think that 10% a month is achievable. And once their demat share trading account is opened they try that and keep losing money. Let’s not go very far. 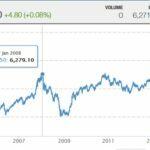 In 2007 when I was introduced to stock markets by my friends I also thought the same. That 7 Lakhs loss is due to the greed to make 10% a month. Reality is I lost almost 7-8% a month. I was lucky I had only 7 lakhs in my saving account else if more I would have lost that as well. Is Making 10% a Month Possible In Stock Markets? 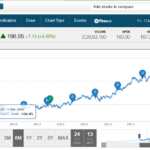 If you take a long view means 10% a month continuously for 1 year or a 120% return in a year. The answer is NO. Occasionally fluke trading in one month out of 12 – the answer is yes. But please do not forget that 10% if you made in a month was result of a fluke not out of your judgement or knowledge. 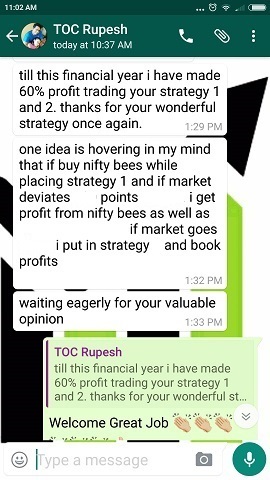 A few days back I got this message from one of my free newsletter subscriber. 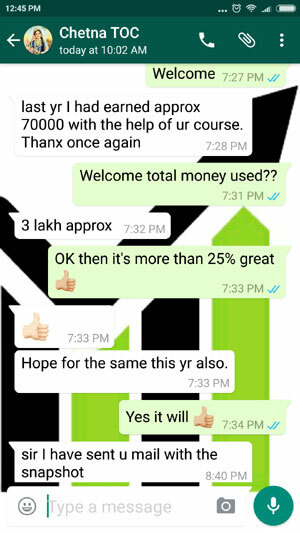 Your course is helping many traders and I also want to get benefited from your course but the problem is I have very less knowledge in options and never traded single option trade till now since 3 years. Also I am confused that after taking the course will I be able to bring at least 10% return every month or not? Because I want at least 10% return every month so that may feel it as a really a great return and achievement. 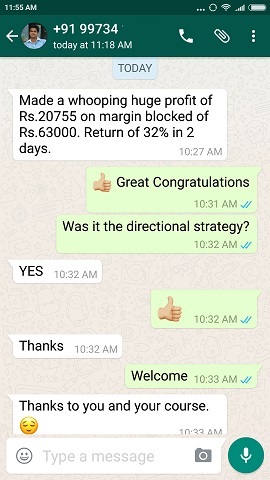 Further I have lost around 5 lakhs trading equity and now left with only 25000. I am very depressed of my life now because I don’t have any job also and I am married just 2 months ago. Please suggest me what should I do and I am mad about getting at least 10% return every month through your course. Please clarify is it possible? Thanks and really your efforts are benefiting so many traders. Great work by you. How many times he repeated “At least 10% a month”? 3 times. Please do not forget at least was also typed 3 times along with 10% a month. Which means he want the least 10% and max there is no limit. 10% return is NOT possible in any strategy in stock market trading anywhere in world. Please do not dream something which no one has ever did. 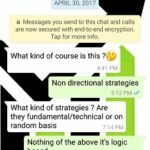 With my course strategies you can make only 3% a month. Fact is I do not keep track of who called me for the course, who whatsapped me for the course, who emailed me for the course etc. Because I neither have the time nor any interest in marketing through calls or Whatsapp to people to do the course. That’s the job of loss making tips providers. I just reply back, and forget. If you do the course good for you what do I make? Just the course fee what else? So I do not know whether this person did my course or not, but what I am trying to say is I do not tell a lie to anyone to do the course and take their money. I just tell the truth. If they feel 3% return is a good a month they buy else they just drop the phone and I never call back. Do you know the what is the return of Warren Buffett, the best stock investor (not trader) in his entire investing career? It is just a shade above 22% CAGR (Compounded Annual Growth Rate). With just 22% a year or 22/12 = 1.84% a month, Warren Buffett goes on to become one of the richest person on Earth. It looks like this is not going to stop and will keep happening even thousands of years from now. It is sad but alas I alone cannot change the mindset of people. I am sure a lot of people reading my emails who have still not done my course must be trying either 10% a month or 5-6% a month. 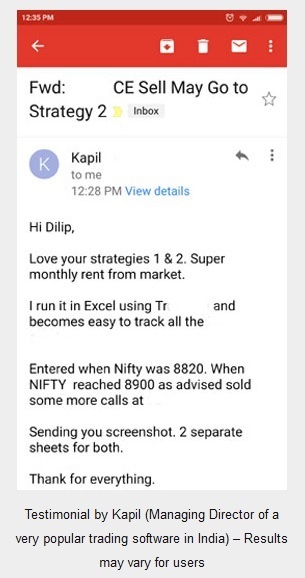 My dear friend let me tell you out of lots of research and experience that making 10% a month from stock market trading is NOT possible for years. Please don’t take the self destructive path of losing money to make more money. 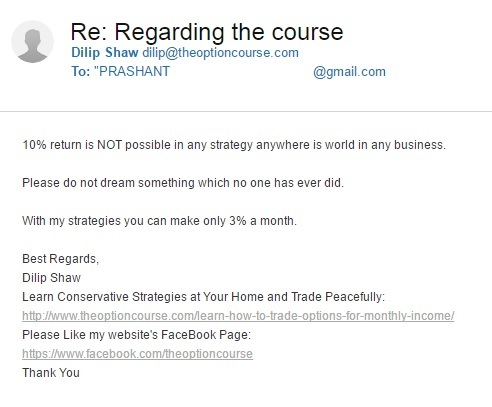 Whether to do my course or not is your choice but at least do not fall for the impression that 10% return a month is possible in stock markets for the long term. It is just not possible, however losing 10% or more per month is possible in stock trading. So please rethink next time you risk your money on trading to make 10% return a month. 3% per year is good ? No, I must say it’s GREAT !!! I am working in equity and fno. I earn 3 % per month in fno and 2% per month in equity. But remember it’s not fix monthly income. It’s averagely 2 years return. That means there may be some months in a row that you can’t earn but if you take in 24 months I got more than 2% per month. You don’t have to be master of full market. In last 8 years I have worked in just 12 scripts. I have bought and sold 3 times. Just only 12 company. Just for a sample. I bought tata steel at 200 and sold it at 670. After some months again I bought tata steel at 300 and sold it at 570. Before 14 months ago I have bought tata steel at 218 and now it’s 426. I know Steel industries and this company very well so I don’t need IT or pharmaceutical bluec hips. Good Vimal nice to know you are doing good. Keep it up. Simple approach is always best, but human greed destroys it all. All The Best. And yes I like your approach of trading very much. Because it’s simple. And simple things and strategies really rare.